Today Davis celebrated his last day in the single digits. For his 10th birthday, he requested a baseball party. We went out to the baseball fields, played an actual game, then ate baseball game food followed by serious chocolate cake. I can’t believe he is already 10. It seems like he was just a baby. 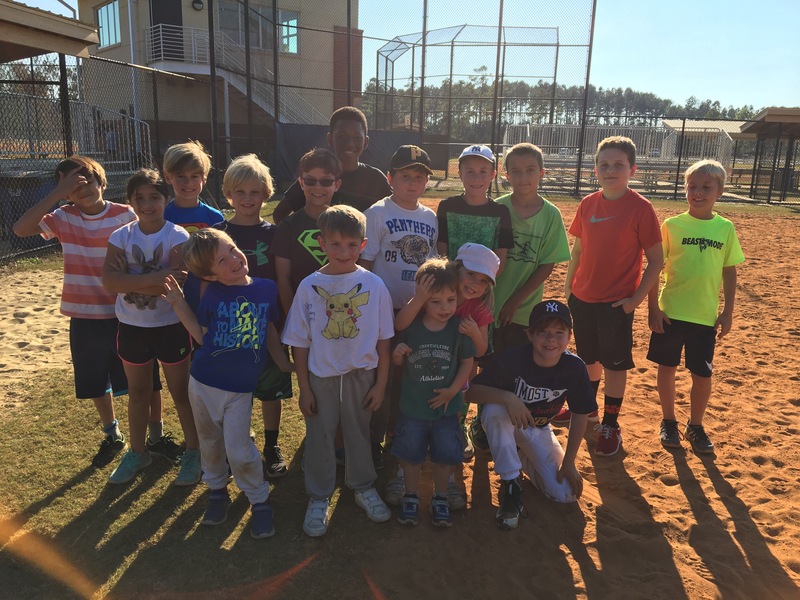 This past year, Davis has fallen in love with baseball even more. He also loves Pokemon although he gets angry and agitated when he doesn’t win. In school, he loves math and PE, and complains frequently about reading class. Davis loves hugs and snuggling and being close to his mama, although not in public. He thinks girls are weird and doesn’t care to talk about them at all. If you tell him he’s handsome, he smirks and says, “No I am not.” Davis constantly begs his daddy to go outside and throw the baseball or football with him. It doesn’t matter if it’s 100 degrees or 20, he’s always ready to go outside. He has a love/hate relationship with his brother. Sometimes they are huddled together on the couch over a game of Dragon City. Other times they are involved in a non-stop, non-sensical bickering session. Tracy and I didn’t pray to God to have children. We decided on our own that we weren’t having children, thinking that saving our money, living in a condo, and traveling was the better option. Thankfully, God had a different plan. I can’t imagine life without Davis or Silas. Our lives forever changed 10 years ago on Halloween night. Davis became a part of our family, and I wouldn’t change a thing.